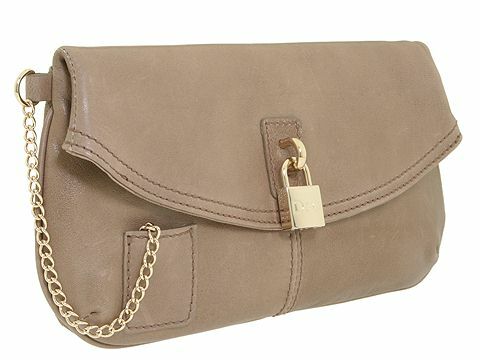 This chic clutch can easily become the cornerstone of your accessory collection. Made of rich leather. Holds your credit cards, currency, lipstick and a slim cell phone. Dimensions: 10 1/2 wide x 1 1/2 deep x 6 1/2 high. ; Padlock and key detail. Top flap with a magnetic closure. Interior lining with a back wall zip pocket.